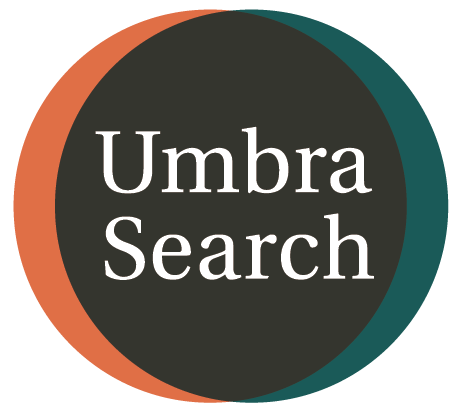 Umbra Search African American History brings together more than 500,000 digitized materials from over 1,000 libraries and archives across the country, making African American history more broadly accessible. Why should I use web sites? Web sites are a great source of information about organizations and institutions and government generated statistics and reports. They are also useful for comparing popular perceptions to scientific research findings. The free web contains a vast collection of resources - some worthwhile. How do I find good web sites? Start by reviewing the Web Searching Guide for expert advice on the best search engines--both general and specialized. Of particular note are the "academic web resources" which includes a link to Google Scholar and other search engines that focus on, credible, scholarly information available on the Web. note: no single search engine comes close to indexing all of the Web. For every major, most minors, and other special topics, librarians have put together a subject guide with links to quality sites (look for a Web Resources page). Books of interest to readers of black literature. This guide will direct researchers to resources on the topic of the Carolina region and its connection to the Atlantic world. Internet Archive is a non-profit library of millions of free books, movies, software, music, websites, and more. Use the IA's Wayback Machine to search for a website and see how it looked in the past. The New York Public Library has made this part of the Schomburg Writers Collection available in digital form. (full text). A growing list of links and other information concerning the role of African Americans in South Carolina from the University of South Carolina -- Aiken. Covers the development and expansion of Southern black churches, beginning with white churches' conversion efforts during the post-Revolutionary period and closes with early twentieth-century assessments of black scholars on the Church's role in American history and society. Excellent source of primary documents. This Chicago museum was "established to preserve and interpret the histroical experiences and achievements of African Americans." 396 pamphlets published from 1822 through 1909, by African-American authors and others who wrote about slavery, African colonization, Emancipation, Reconstruction, and related topics. The materials range from personal accounts and public orations to organizational reports and legislative speeches. Among the authors represented are Frederick Douglass, Kelly Miller, Charles Sumner, Mary Church Terrell, and Booker T. Washington. Information on major Smithsonian programs related to African and African American issues and resources. The African Studies Center at the University of Pennsylvania is recognized as a vital and forward-looking center where researchers, students and cultural and business entities come to gain knowledge of contemporary and historical Africa. Links to African American Studies resources.